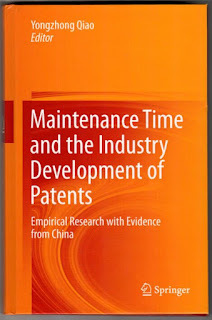 This InternKat has been reviewing Dr. Qiao Yongzhong's book “Maintenance time and the industry development of patents -- empirical research with evidence from China”. Coherent in content, clear in structure, this 15-chapter book (10±2 pages per chapter) manages to present the in-depth research in a lucid, simple and readable manner. It is known that the patent is closely related to technological innovation, and the output of patents is a key indicator for evaluating technological innovation capability. In China, the patent system has been taken very seriously and has enjoyed a crucial position amongst the national IPR undertakings -- think about the State Intellectual Property Office of China (SIPO), basically it is more of a State Patent Office of China (that was in fact the former name of the SIPO during 1980-1998). Known as the “Chinese driving growth”, IP statistics are often numerically astonishing: a quick Google search shows that, as reported by WIPO, “China’s patent office received 1,101,864 filings in 2015, making it the first office to receive more than a million applications in a single year… this totaled almost as many applications as the next three offices combined: The U.S. (589,410), Japan (318,721) and the Republic of Korea (213,694)”. Many experts in China, including Dr. Qiao, feel no smugness with the huge patent filing numbers. Instead, they see both the inevitability and the undercurrents: given the combination of the largest population in the world, a huge domestic market potential, the gradually deeper degree of openness and stronger state policy stimulations, the enormous filing number is no surprise. Speaking of undercurrents, Dr. Qiao’s book contributes a prudent and insightful angle, namely of the patent maintenance time and the industry development of patents -- through which the stories behind the figures can be objectively captured and told. Plus, the reliable empirical mythologies and the precise scholarly analyses of this research may cure some readers’ headaches regarding the data credibility of Chinese studies. As you may already know, patents in China come in 3 categories, namely invention patents, utility models and design patents. As the author has explained, since the utility model patent and design patent can be granted without substantive examination, the influence factor of the utility model patent and design patent maintenance time is always random. So in this book, "patent" only refers to invention patents. This InternKat, as a Chinese blogger, is very glad to see the problems in the Chinese patent system being pointed out in this book -- first we see, then we consider what to do. Yes, after reading the book you would agree, there are quite a few areas requiring improvements -- the gap between “good in quantity” and “good in quality” for China is still quite big. Apart from the horizontal, longitudinal and cross analyses of the status quo, this research also proposes a number of constructive recommendations: efforts should be taken to reform the annual fee system of maintaining patents, to optimize the patent maintenance time, and to better balance the benefits of the state, program undertakers and the public. The author Dr. Qiao Yongzhong is an Associate Professor of the IP Research Institute of Xiamen University in China. He was selected as an IP leading talent and an IP expert of the national expert database in China. He has published 5 books and nearly 60 papers on IP topics. 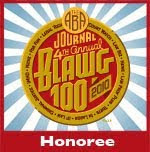 Complete bibliographic details are available from the Springer website here. Am I the onky one who has no idea what is meant by the term "patent maintenance time"? Kant - I similarly didn't know what the term meant from the title, so you're not the only one! From reading the article, I think it means maximum patent duration and renewal/maintenance fee structures. I also wasn't sure whether "industry development of patents" means increasing use of patents by industry, or the benefits offered to industry by patents. Actually, I'm still not sure on that one! Perhaps both...? 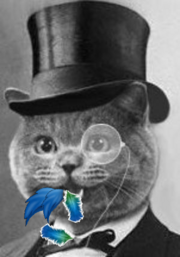 I assume that patent maintenance time means the term for which patent maintenance fees are paid; which will vary, as by no means all patents are maintained for their full term. It is alleged (although I've never bothered to look for statistical proof and certainly have not read the reviewed book) that patent maintenance times are shorter in China than in other countries. If true, then this reflects the choices of many (perhaps millions) of patentees who have chosen to maintain or not based on their own circumstances. This makes the choice of the language "optimize the patent maintenance time" somewhat difficult to understand. It implies that there is an optimum patent maintenance time independent of the patentee's circumstances. If an enterprise patents something and then finds that they are beaten in the market, there is no obligation on them to continue paying renewal fees for old technology. There are many other good reasons why a patentee would choose to abandon a patent. 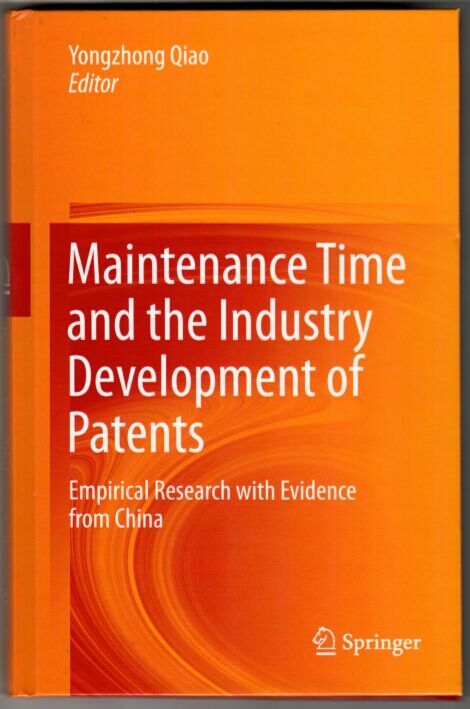 If the book deals with differences in maintenance times of Chinese patents granted to Chinese patentees, and Chinese patents granted to foreigners, then it may say something interesting. I can't be bothered to buy it to find out.